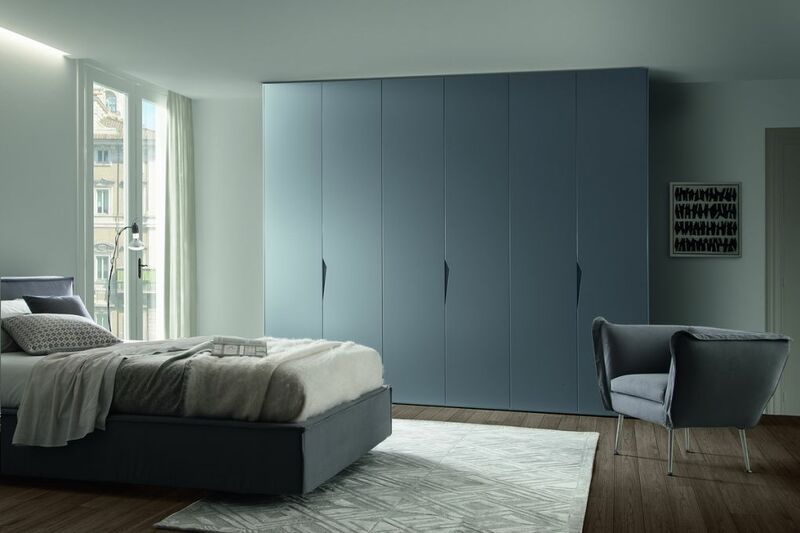 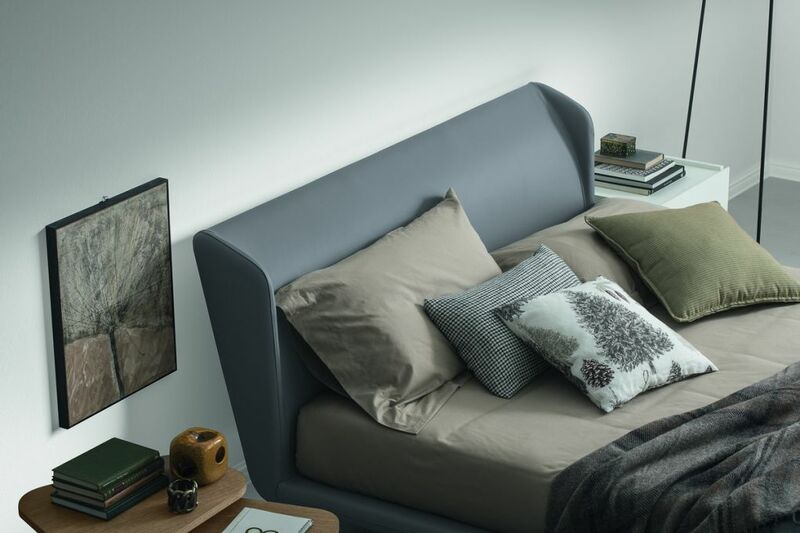 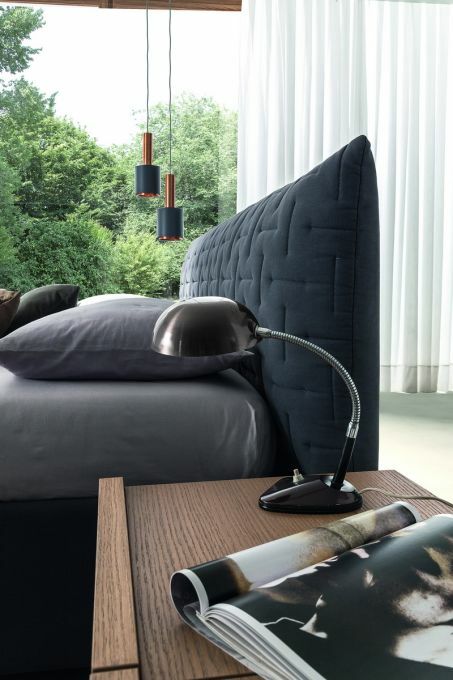 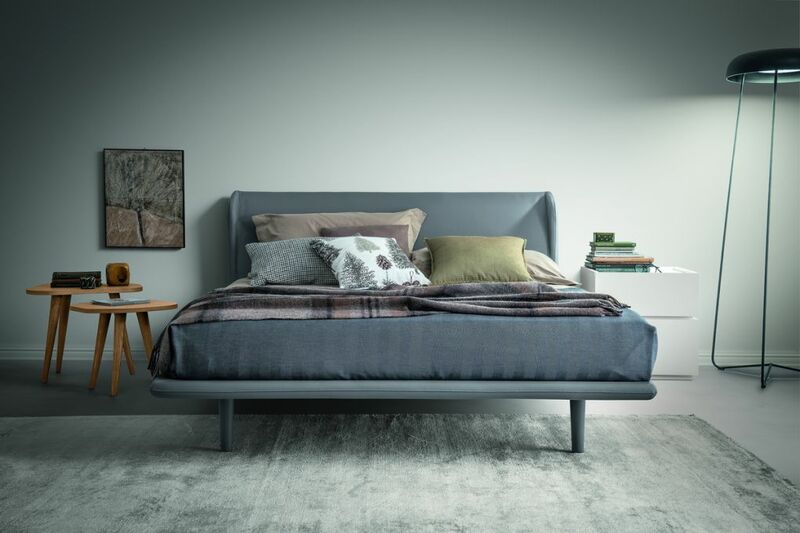 Simplicity and sophistication are the words that best describe the bed Lia; the padded headboard and bedframe are covered with fabric and eco-leather present in the colleciton; fully removable bed. 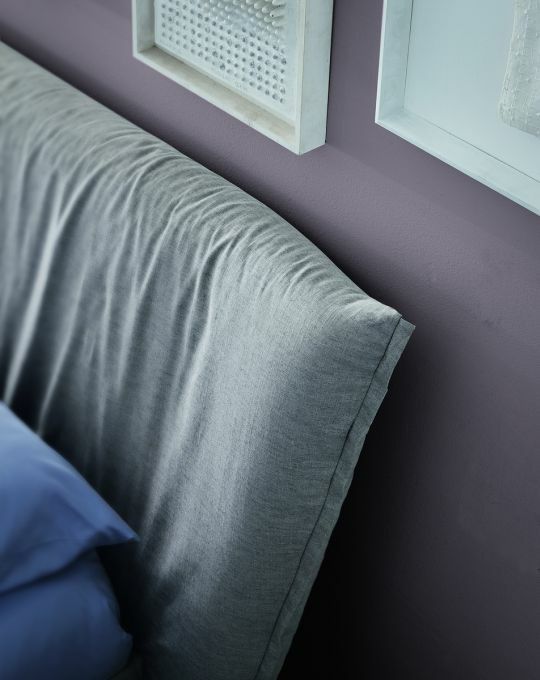 Matte lacquered feet in available colors at sample. 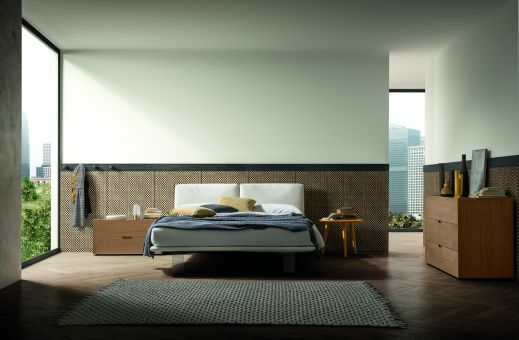 Upholstered bed covered in fabric or eco-leather in sample variants. 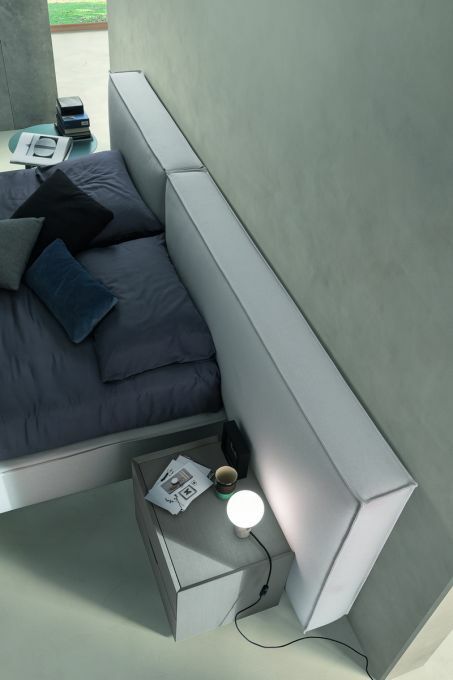 The decorative seams are present only on the upper side of the headboard and footboard. 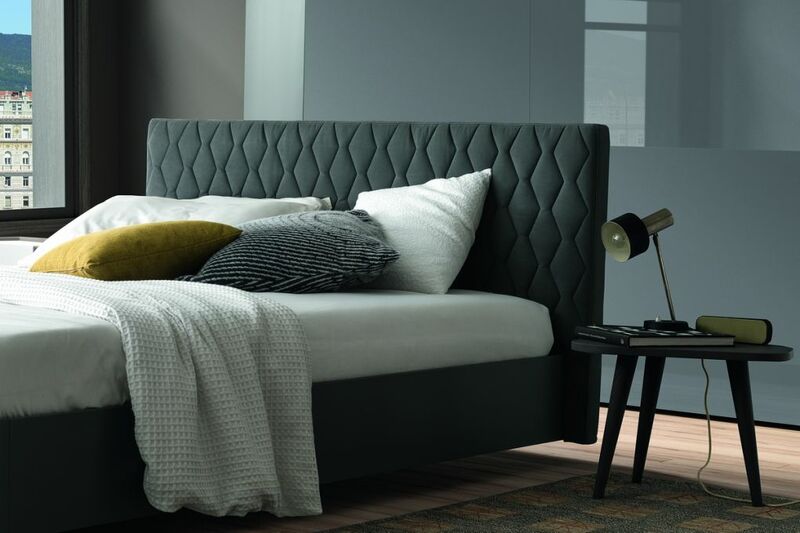 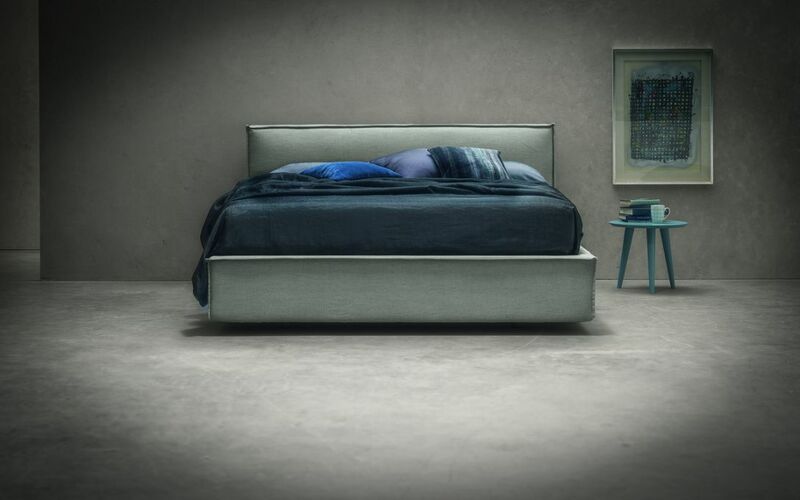 Fully upholstered bed, the headboard embellished with seams vertical and horizontal gives the Axel bed a classic-contemporary taste. 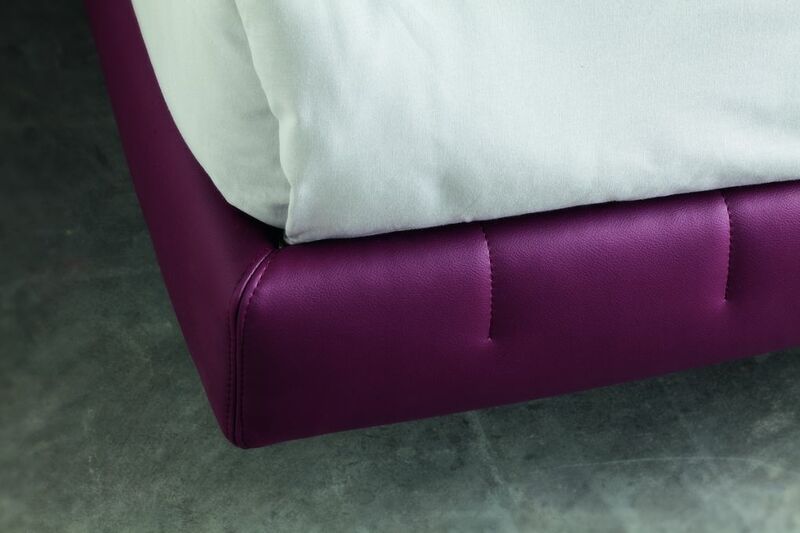 Coating available in fabric or eco-leather. 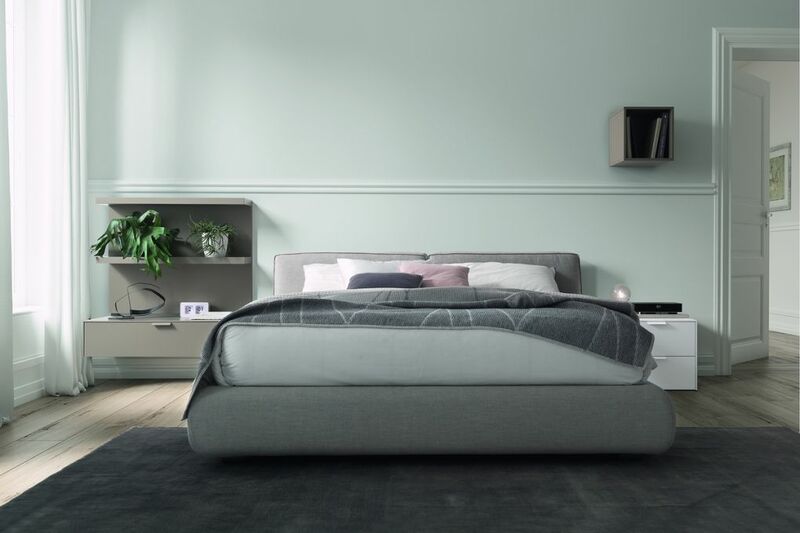 Fully padded bed with soft lines, proposed with a double cushions and embossed seams; details that give the bed a reassuring look. 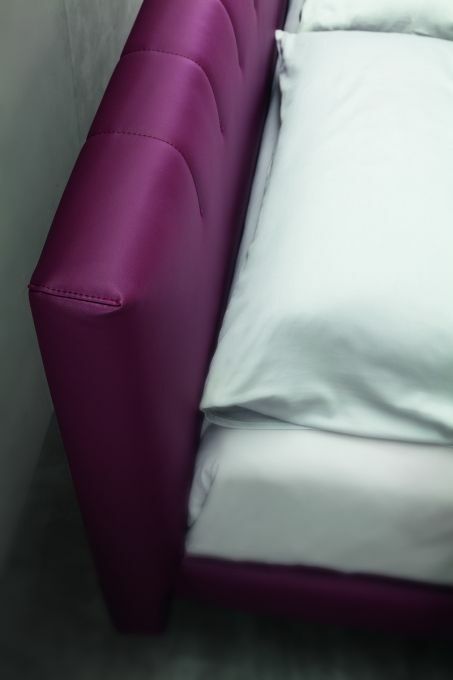 Fabric-coated in the photo, also available with eco-leather cover. 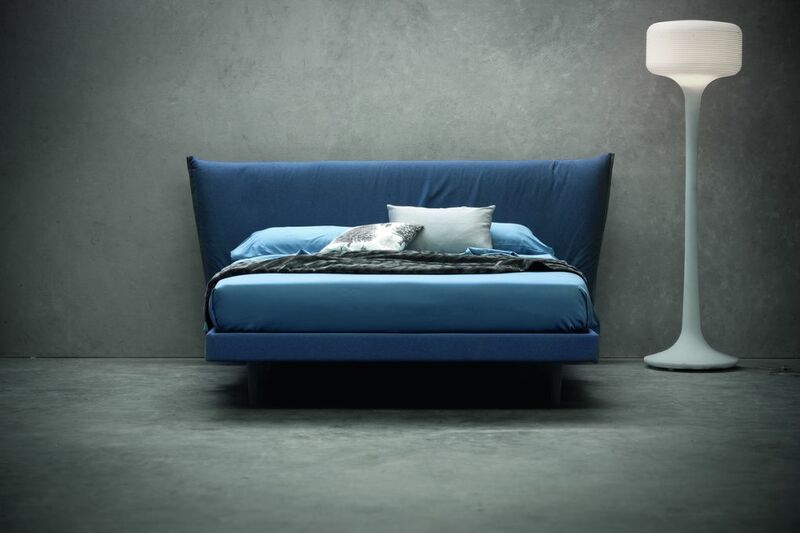 The embossed seams on the headboard and footboard are characteristic elements of the Gaya bed, a bed padded by the traditional line but with contemporary charm; available in double or single versions. 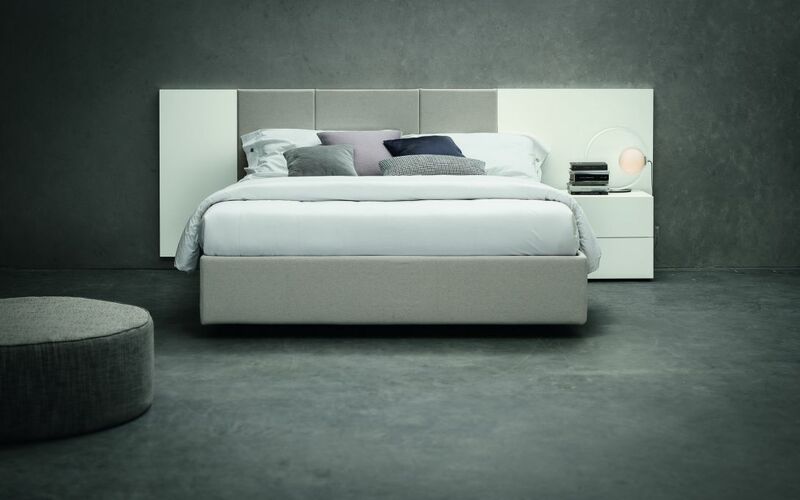 The large headboard and padded bedframe give to Reale bed a look of a decisive character. 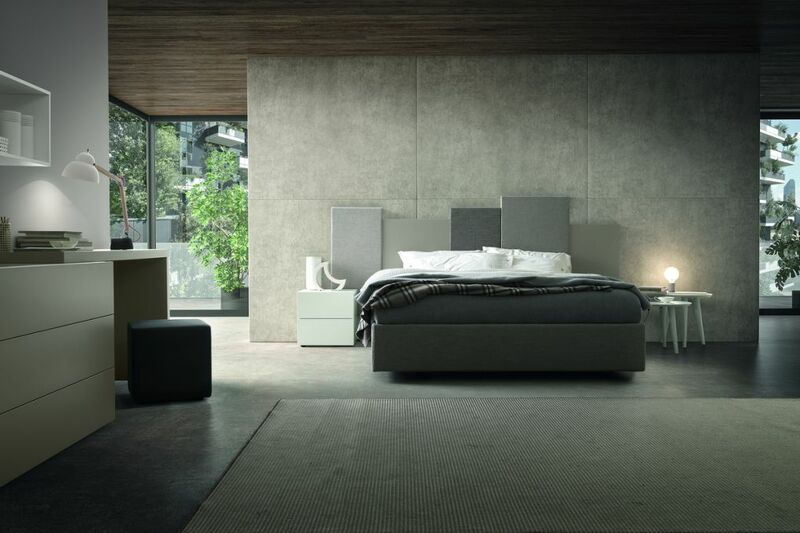 The headboard, with the determined impact, gives the bed an appearance predominant in the environment and at the same time reassuring. 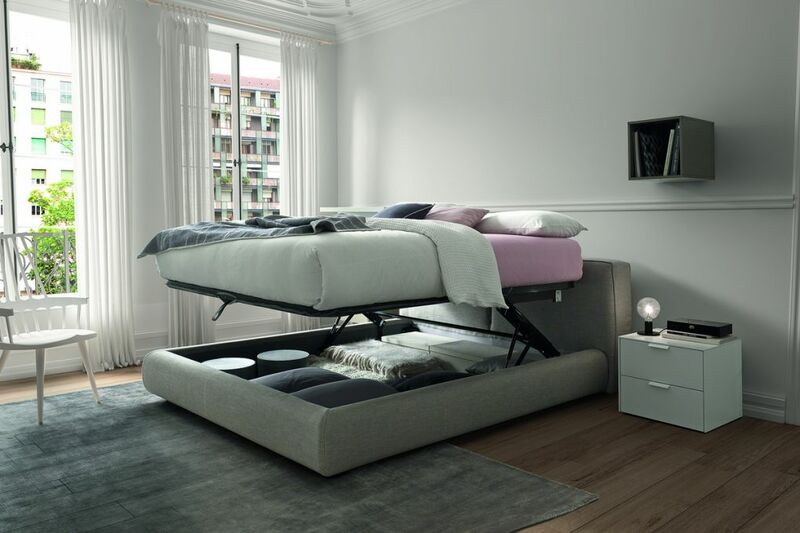 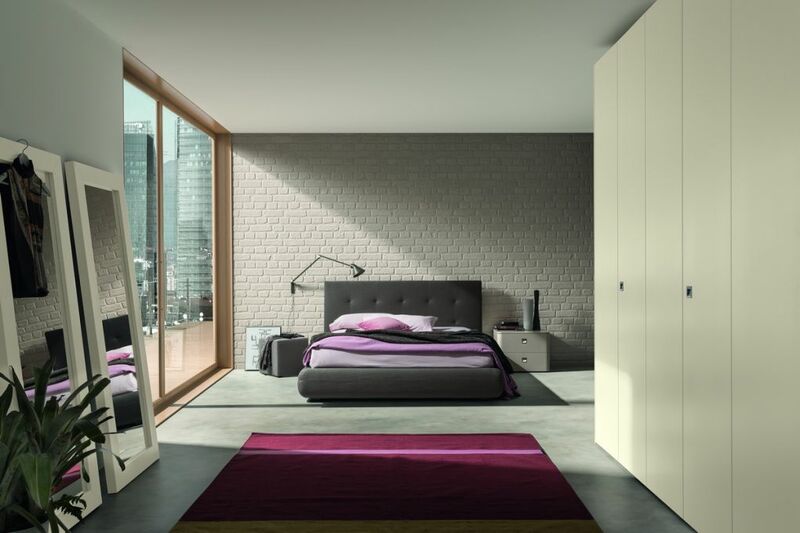 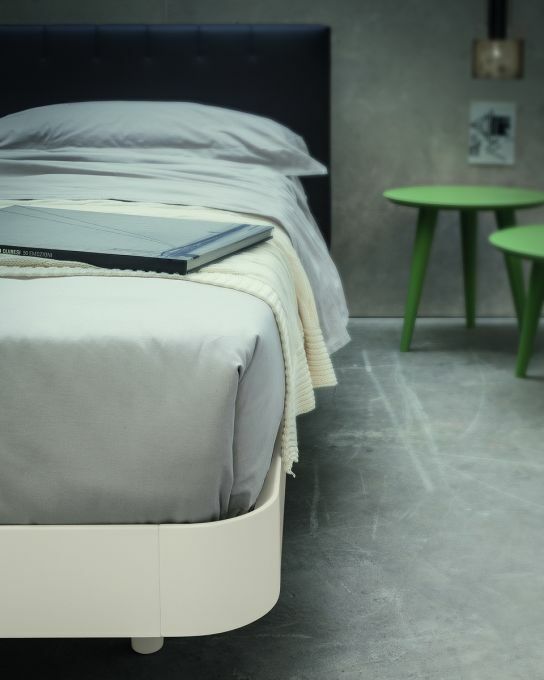 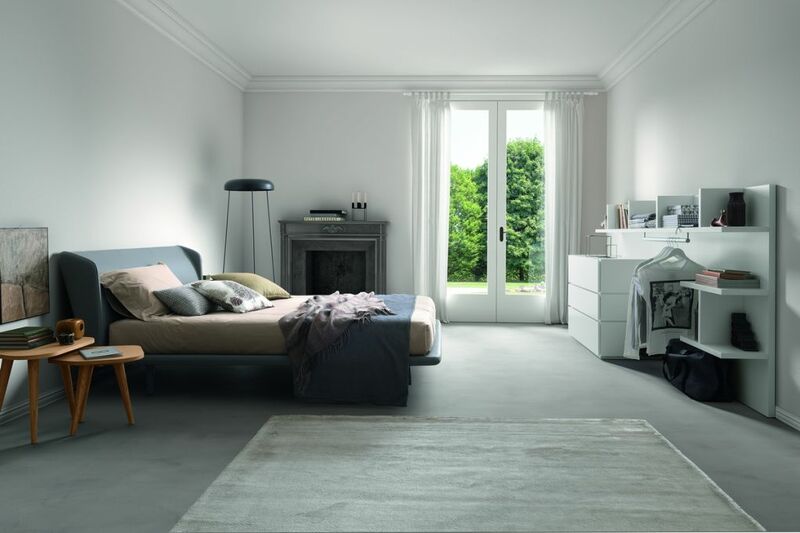 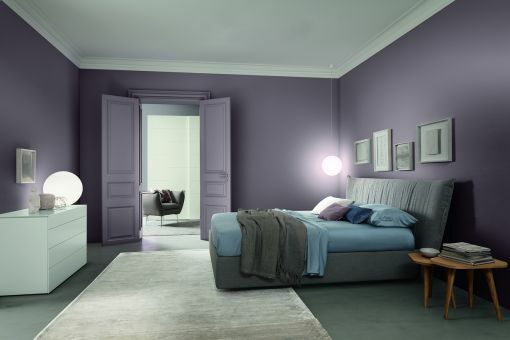 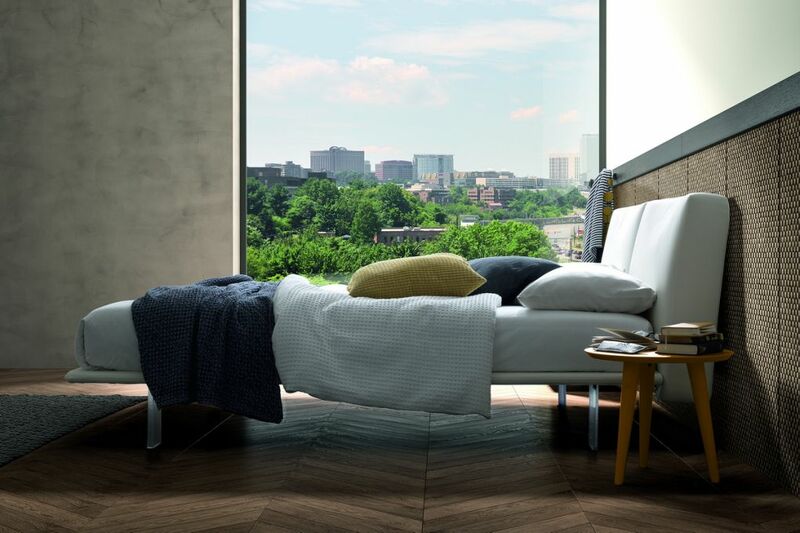 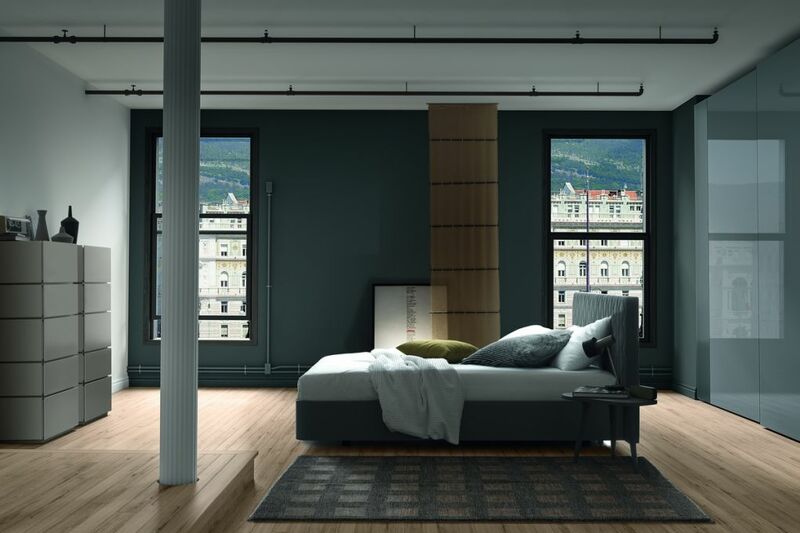 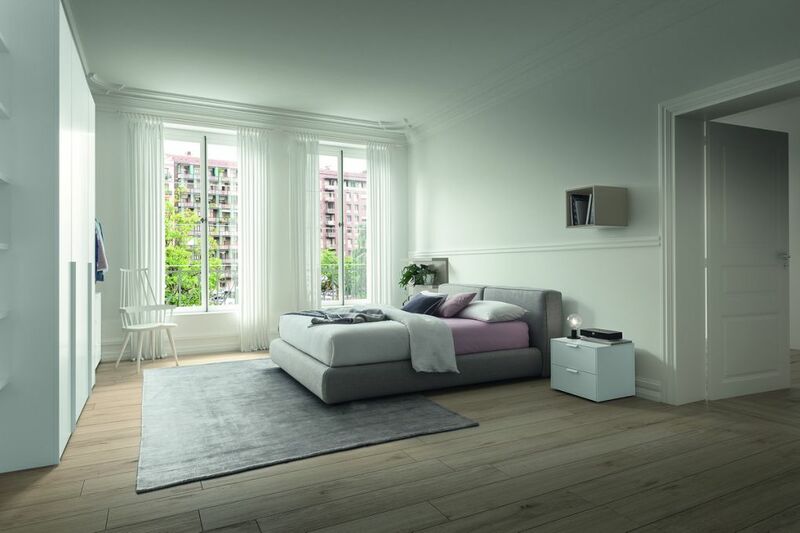 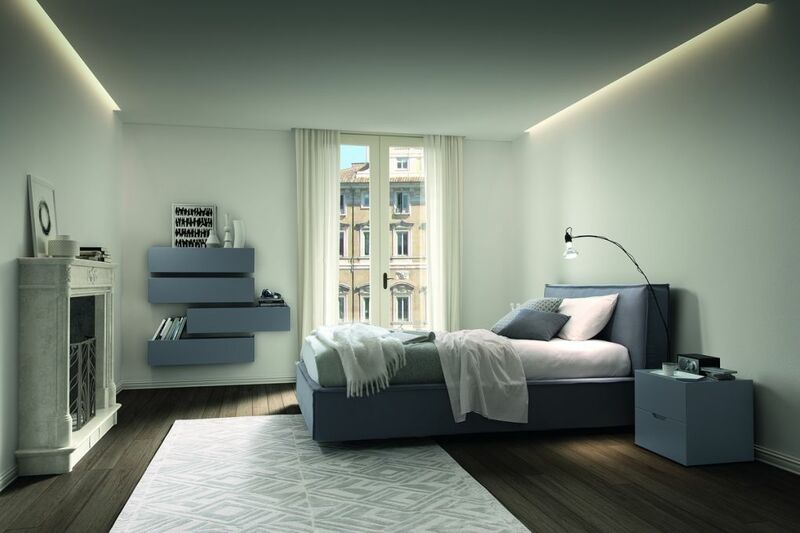 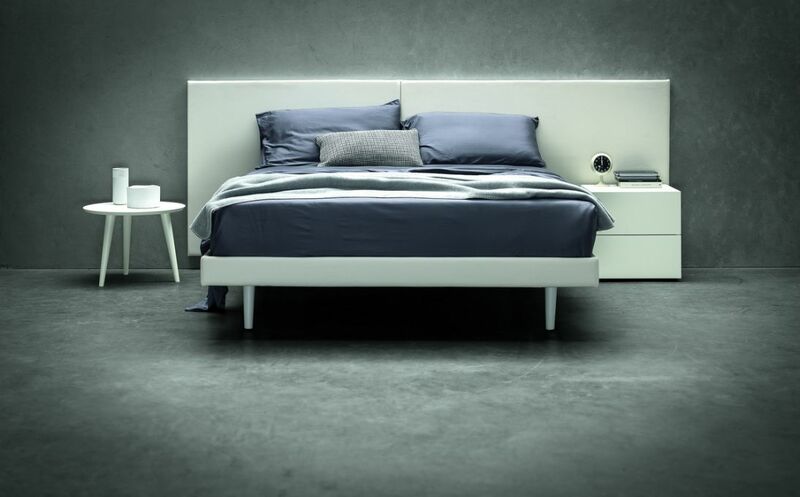 The Ghost bed for shapes and sizes it is ideal for environments with limited space. 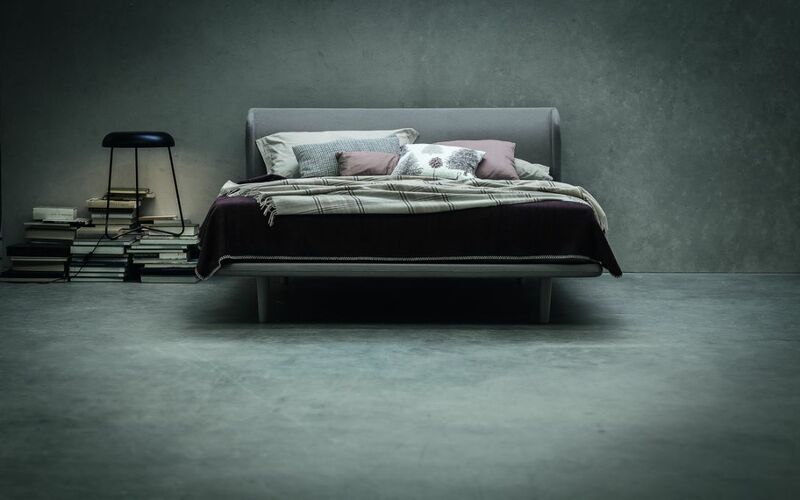 The bedframe by the dimensions contained fixed to the bed spring-frame confers maximum bed stability and sense of sustainable lightness. 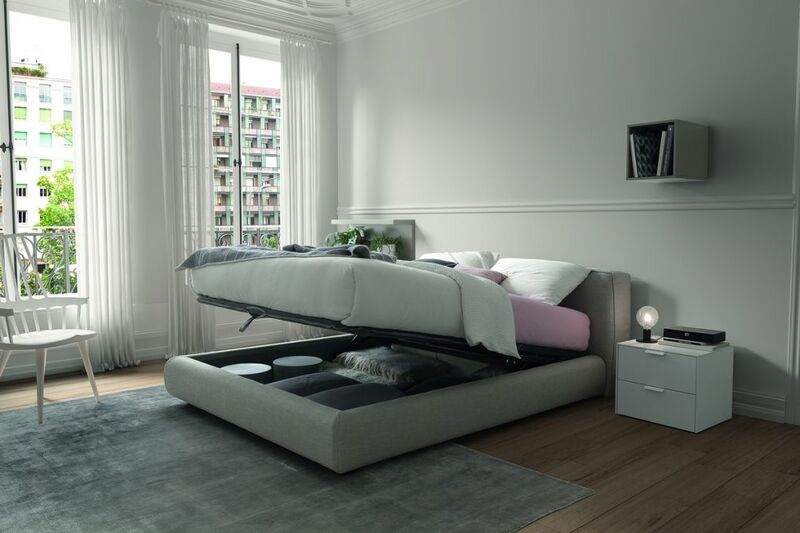 The foot is in transparent Plexiglas. Wooden bedframe in oack Havana finish and smmoth paded headboard upholstered in fabric; a crossroad of style and materials that are able to live perfectly with a result excellent. 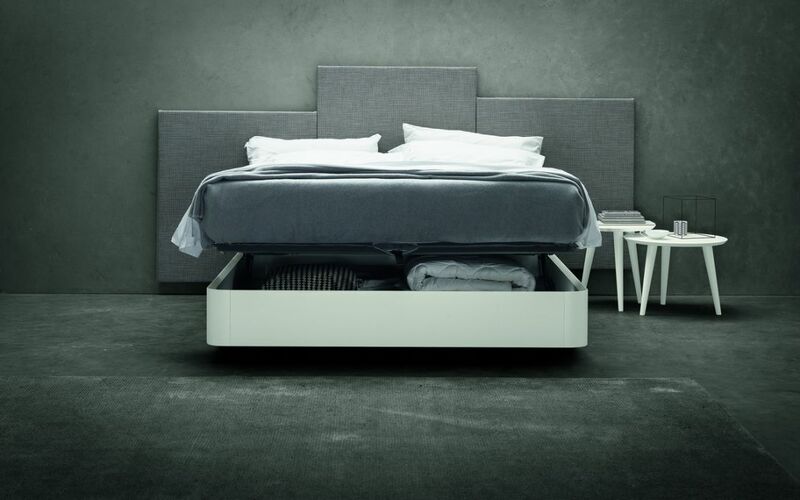 Pure bed proposed in the single version. 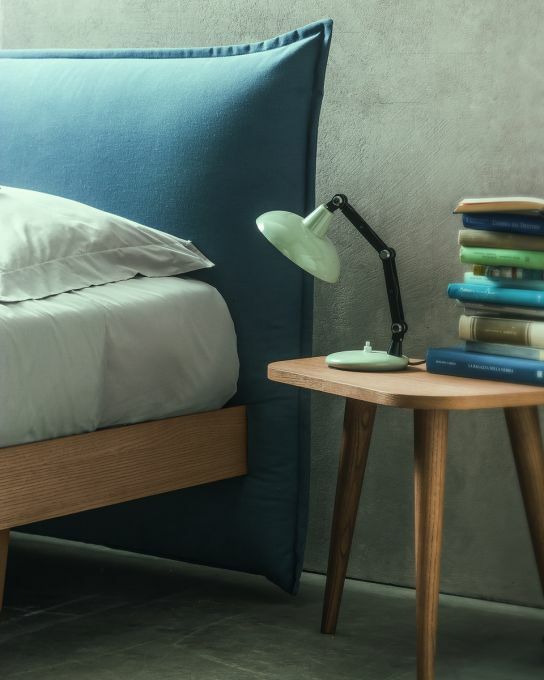 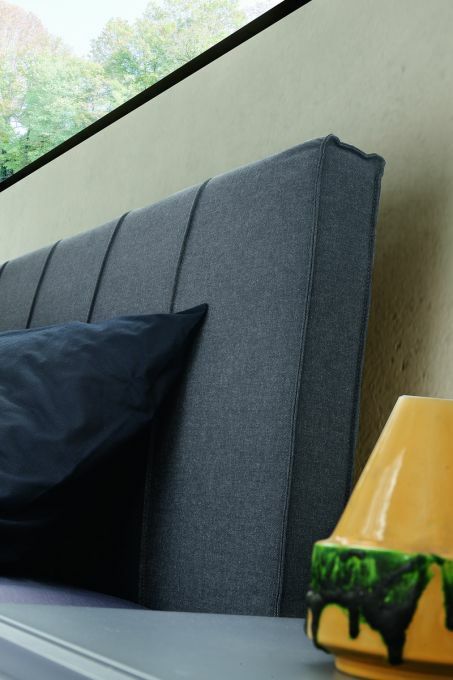 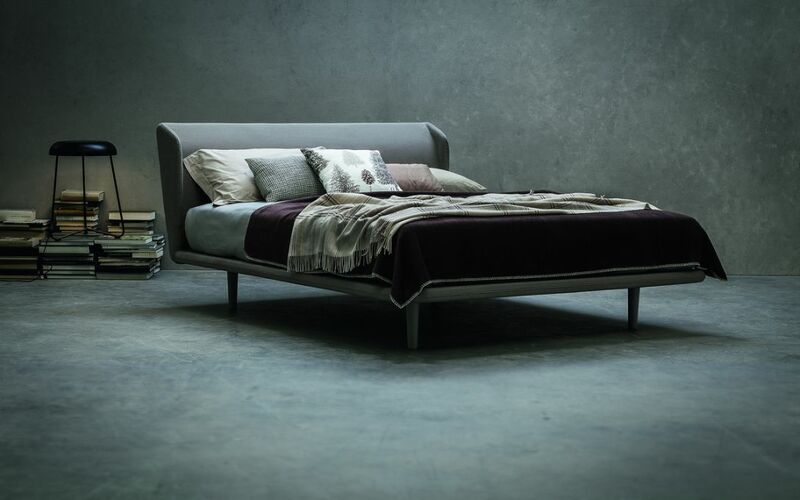 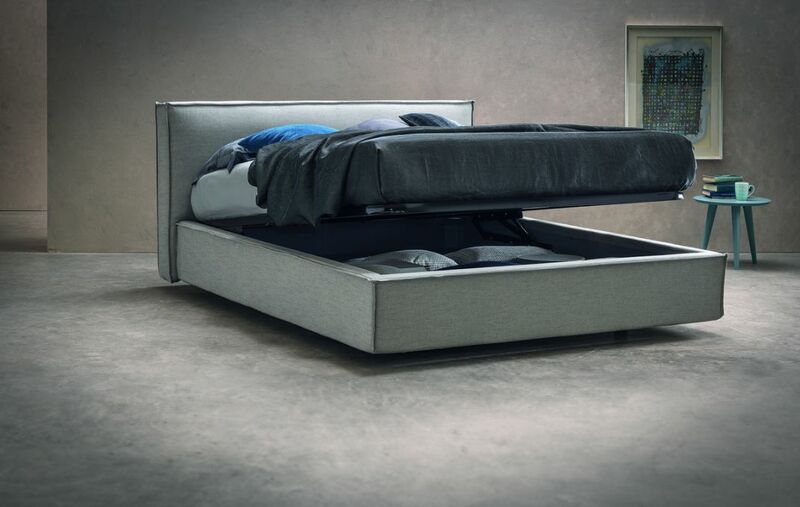 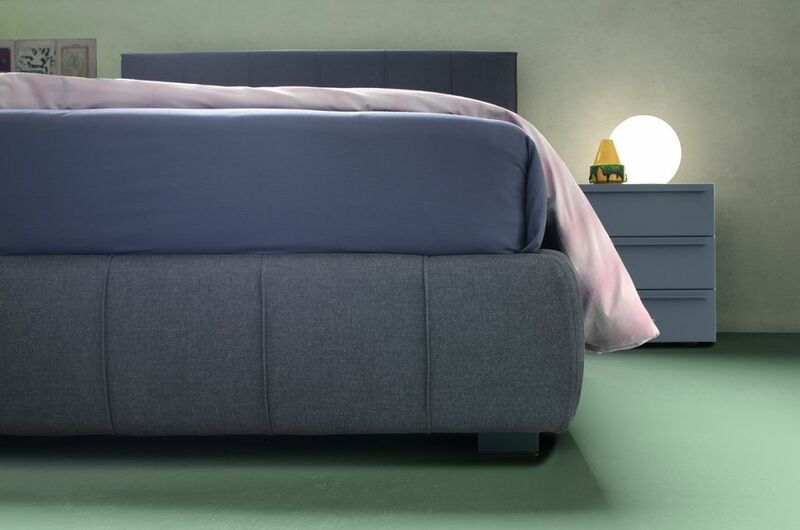 A clear example where the structural simplicity of the product is embellished with details; reverse-side seams give the bed the right touch of personality. 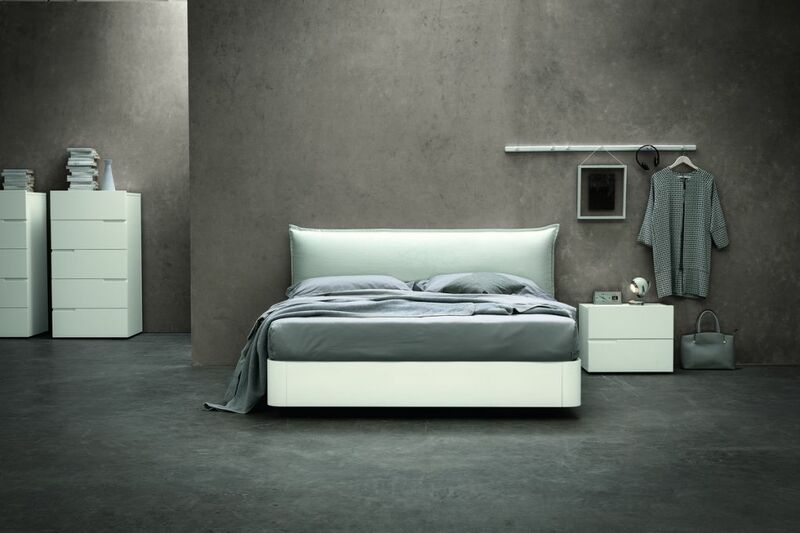 Essentiality and linearity are the main aspects of the Pure bed. 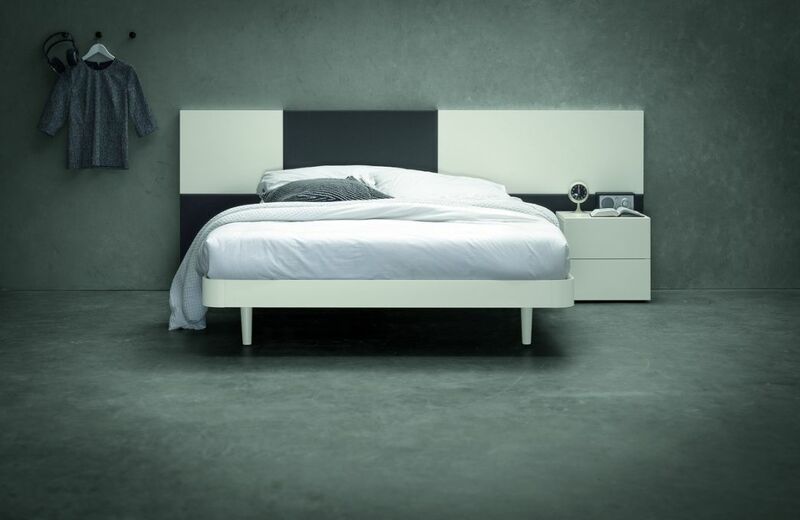 The headboard and the bedframe of great thickness give the bed character and rationality. 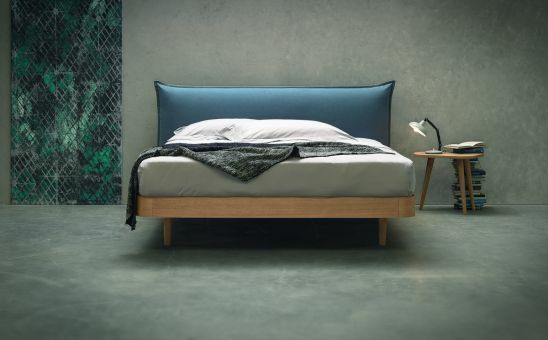 Simply bed proposed with wooden bed frame and quilted padded headboard, an intersection of materials and finishes for a rich personality result. 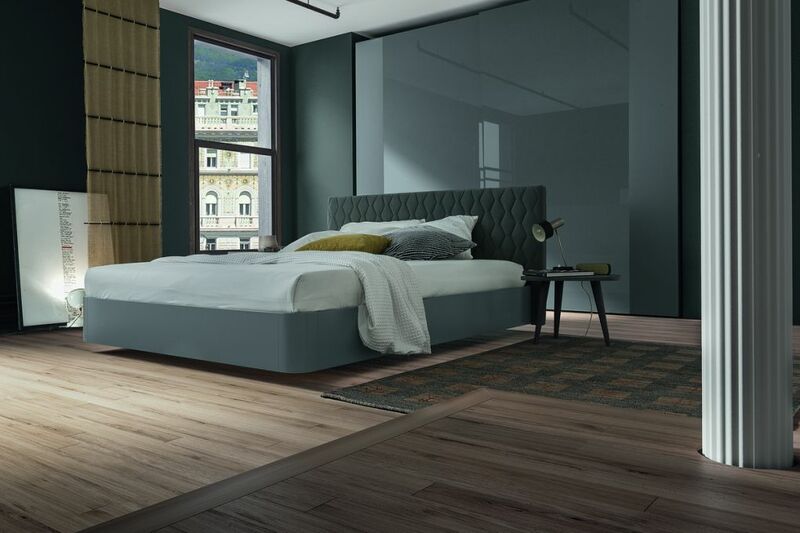 Wooden bedframe in ivory lacquered finish and padded headboard with vertical seams; an intelligent alternative to the Simply bed: wooden feet lacquered in opaque ivory dyed with bedframe. 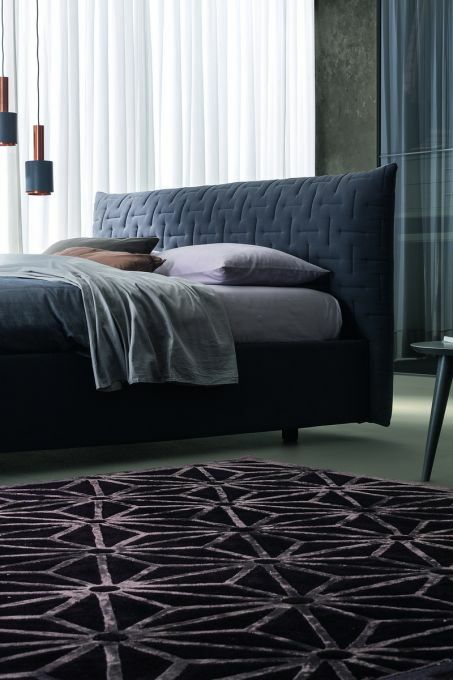 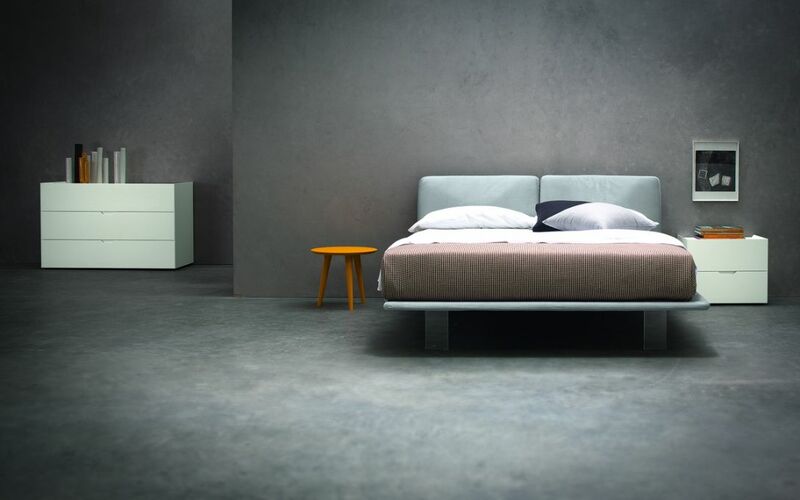 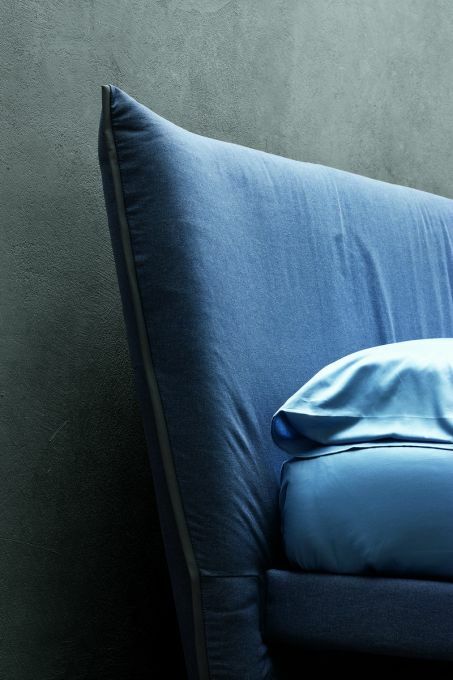 Piuma is a bed with soft, enveloping lines. 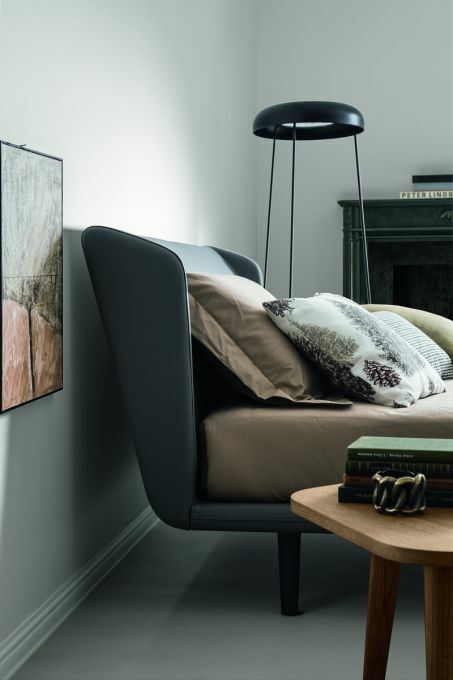 The headboard remains part characterizing the bed while the bedframe can be padded or in wood. 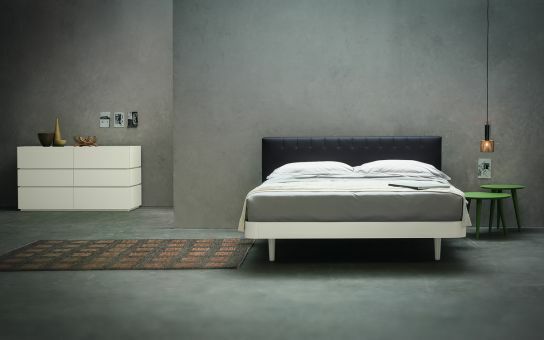 In the picture, the headboard is available in the quilted version and with padded bedframe. 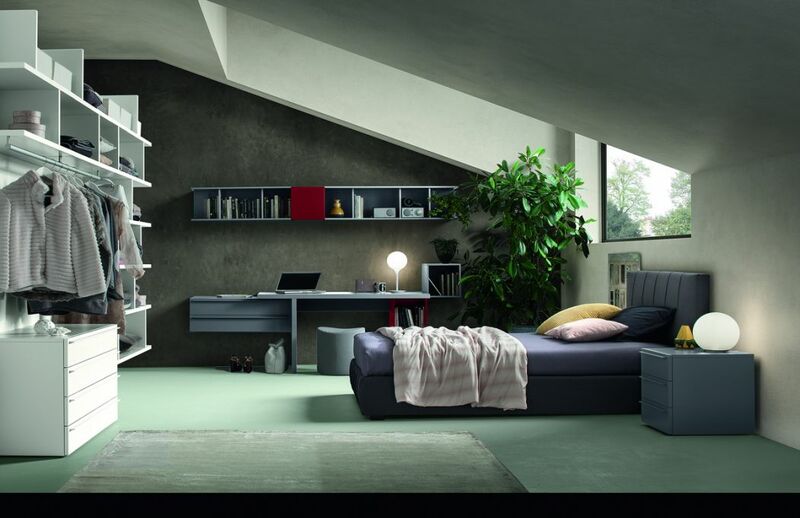 Simple in design but funcional in use the sommier program allows pleasant solutions in small space. 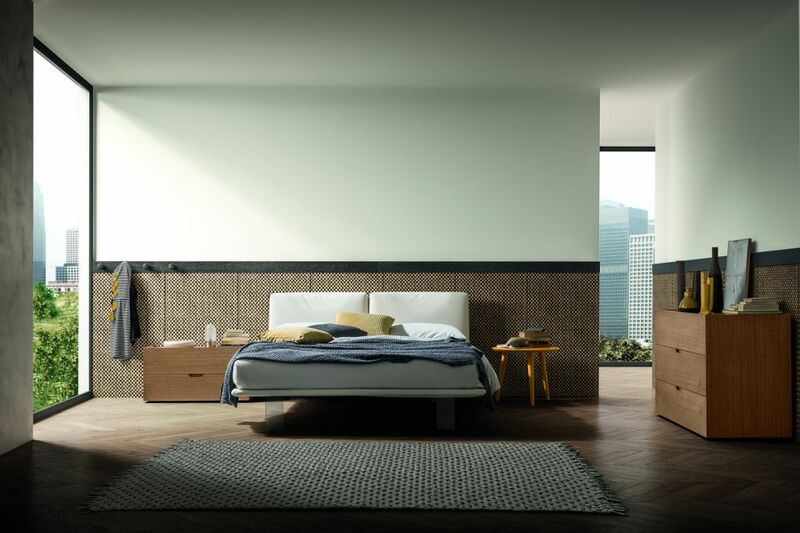 In the photo the sommier is next to the padded and lacquered boiserie.